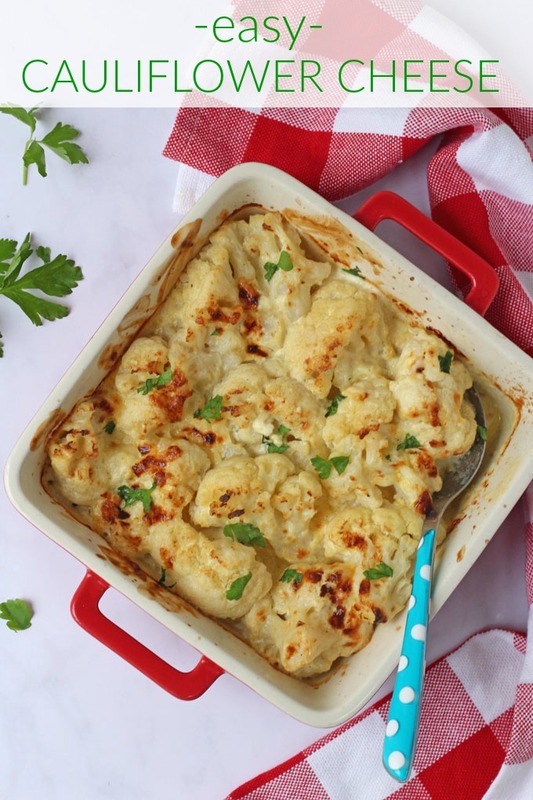 A super easy cheat’s recipe for Cauliflower Cheese. 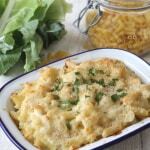 A delicious side dish that the whole family will love! 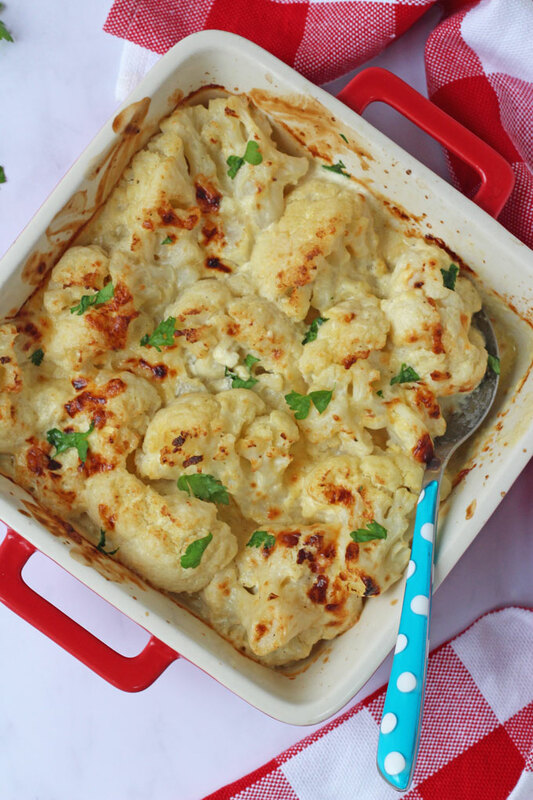 When it comes to comfort food you really can’t beat a steaming hot bowl of Cauliflower Cheese! I have to admit I can be a bit lazy though when it comes to cooking so rather than make the classic roux or white sauce, I have a cheat’s version that’s even easier! I’ve been wanting to post this recipe for about a year now but every time I photographed it I was really unhappy with the images. Beige food is not the prettiest! But this week I’ve decided to put aside my photography vanity and just post it. 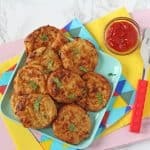 I love this recipe and I hope you do to. 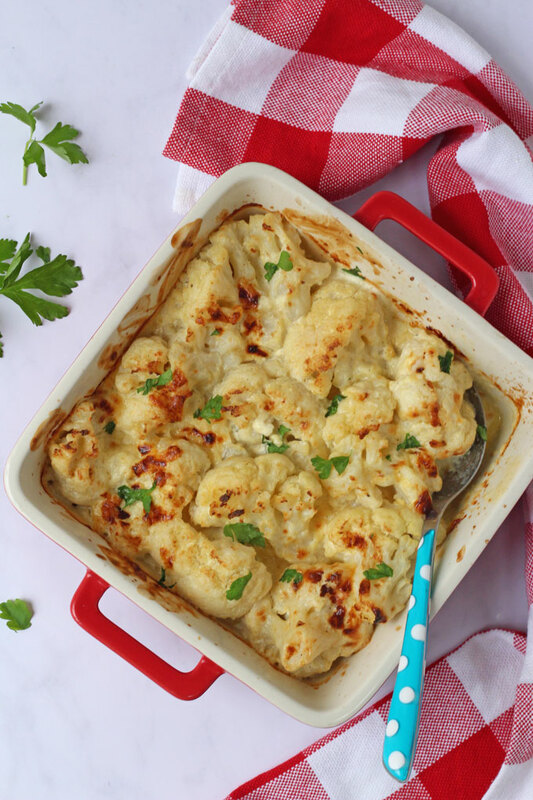 I use frozen cauliflower in this recipe but you can easily use fresh too. Long term readers of the blog will know I love my frozen veggies and I just find it easier to have in the freezer, meaning it doesn’t go off. For the sauce I use a tub of creme fraiche mixed with cheese rather than the traditional roux sauce made with butter, flour and milk. 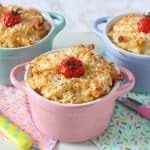 This doesn’t need to be cooked, saving a bit of time and of course the extra washing up! If you try out this recipe please do let me know what you think. And if you manage to get a prettier photo of yours send it to me on Instagram or Twitter!! Add the cauliflower florets to large saucepan, cover with boiling water and simmer for 6-8 minutes until just tender. 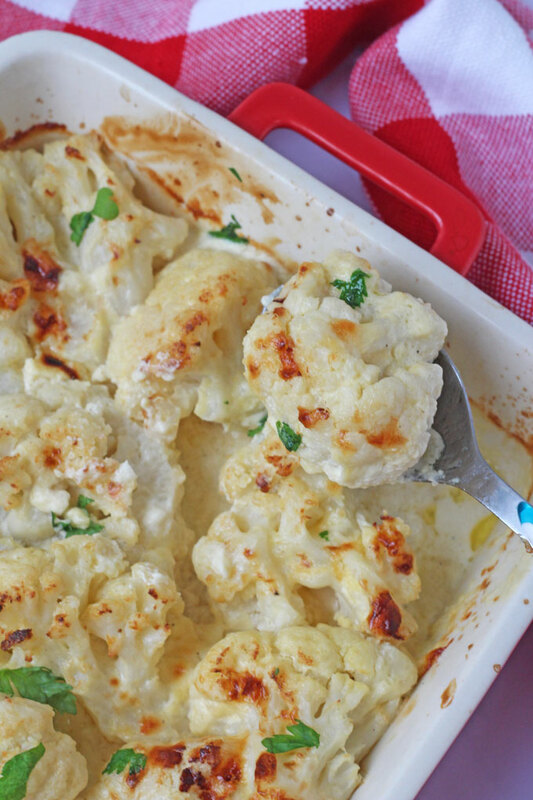 If you are using fresh cauliflower you may have to reduce this cooking time. In a bowl add the creme fraiche, dijon mustard, cheddar and parmesan and mix well. Season to taste with salt and pepper. Drain the cauliflower well then put it back into the saucepan along with the cheese sauce. Mix well and then transfer into a baking dish. Bake for 15-17 minutes until the sauce is bubbling. 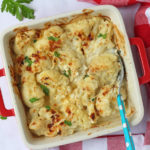 Looks like a nice simple Cauliflower cheese recipe! My kids love this!